WASHINGTON -- The much-debated Keystone XL pipeline could produce four times more global warming pollution than the State Department calculated earlier this year, a new study concludes. The U.S. estimates didn't take into account that the added oil from the pipeline would drop prices by about $3 a barrel, spurring consumption that would create more pollution, the researchers said. Outside experts not connected to the study gave it mixed reviews. 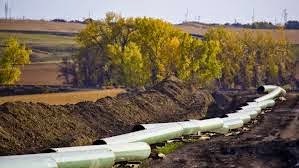 The American Petroleum Institute found the study to be irrelevant because regardless of the pipeline, the tar sands will be developed and oil will be shipped by railroad if not by pipeline, spokeswoman Sabrina Fang said.